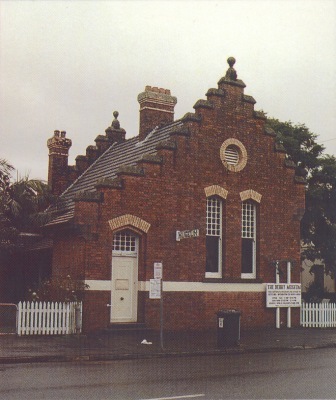 Volunteer organisation housed in historic bank building, locally heritage listed. The collection comprises items and memorabilia donated by the local community. All relate to the area's agricultural and dairying past and to Berry's origins as an estate town of Coolangatta Estate. There is a good collection of early twentieth century photographs (some original) taken locally; and records relating to local families are maintained. The building which houses the collection (rented from Council) is a former ESA bank building designed by nineteenth century architect William W Wardell. It retains much of its character as a combined place of business and family residence. Also available are Aboriginal artefacts, and information on local indigenous people, Microfilms (18 reels) of some of the "Berry Estate Papers" from the Mitchell Library Collection (1817-1939), and South Coast Register Newspaper etc. also Births, Deaths & Marriages microfiche. Over 30,000 linked family names listed on a generations 8 family history program. (GST included): Adults $2.50; Children 50 cents; Concession $1.50. for sale; Historic Sites of Berry by Mary Lidbetter - $5.50 (GST included); Click Go the Years by Ellaine Mabbutt - $5.50 (GST included). Contact Berry Museum for further details. Local family history, including copies of Archival records and photographs. Artefacts from Berry area, include farm machinery, Boer War Uniform and memorabilia, dairying artefacts, late 19th century bookcase (includes Boer collection) and roll top desk. Old town photographs. 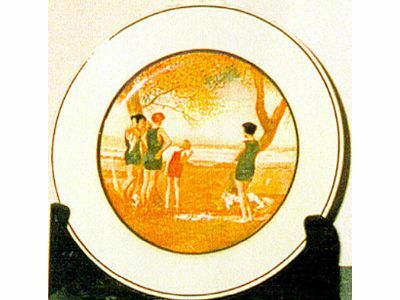 China plate 25.5cm diameter, cream glazed, colour. Printed with scene of three female figures and a child, all in bathing dress, under trees by the sea. Mount Coolangatta in background. A limited number of these plates made to order for Waddell's Newsagency and General Store, Queen Street Berry, reproduced from photo by Andrew Waddell who founded in 1885 the business currently run by Grandson. 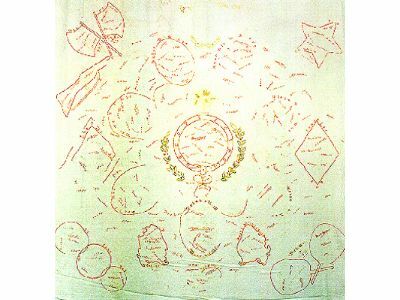 Full size bed cover of white linen embroidered over autographs of C400 visitors to Berry A & H show1906. Raffled in 1907 and won by boy McIlvride, son of tailor. In Wilson family home until 1984, James Wilson emigrated from Ireland 1856, employed by Alexander Berry, 1st storekeeper and Mayor of Broughton Creek. 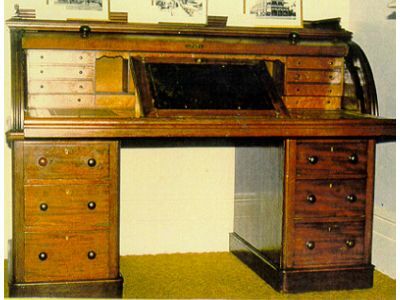 Desk with accompanying bookcase from 'Glenworth', a residence of Berry's later years. 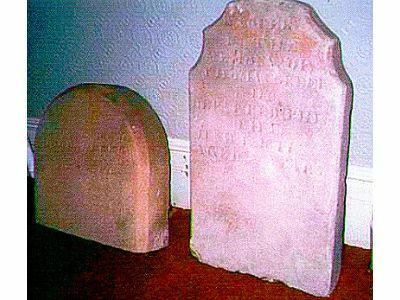 Sandstone, inscribed - 'Sacred to the memory of Thomas Greer who departed this life, June 4, 1841, aged ?6 years. 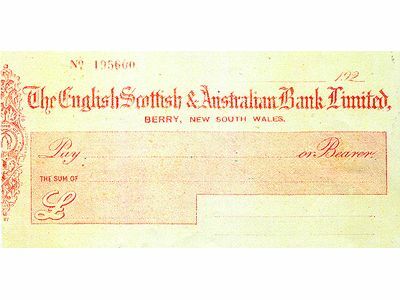 Thomas Greer (Irish) transported for life in 1831, assigned to Alexander Berry at Coolangatta. Ticket of leave 1840. Free passage for wife and four sons delayed, on arrival they learned Thomas was dead. Widow remarried convict Weeks, 36 years later he was buried near Thomas. Headstones were rescued together.